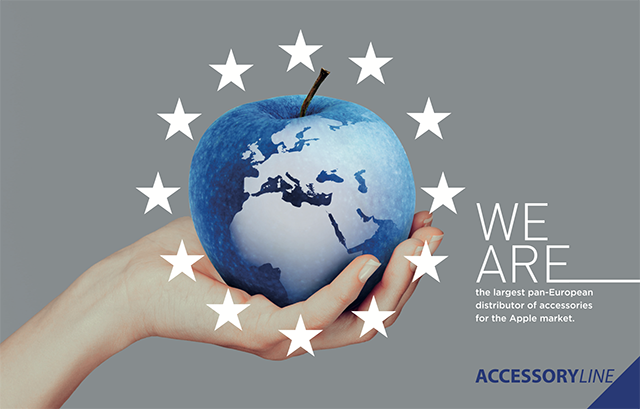 Treviso, February 20, 2019 - Accessory Line srl, the leader in the distribution of accessories for the Apple market in Europe, is pleased to announce an agreement with Epson Europe BV for the distribution of printers and peripherals to Apple Authorised Resellers across Europe. Epson products have always been the perfect complement to the Apple range, synonymous with quality and colour: since the launch of the first Stylus Photo and the historic Perfection scanner, Epson peripherals have been ideal companions to the creativity of Apple users. This agreement will introduce and promote selected Epson products to the Apple channel, with a particular emphasis on the "green" EcoTank range. 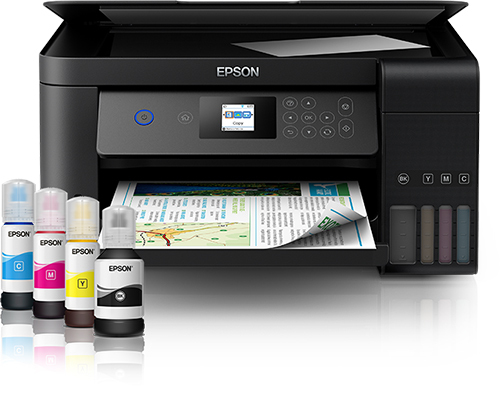 Epson EcoTank printers are the ultra-economical printing solution, with an extremely low cost per page – ink costs are reduced on average by 90%, thanks to the integrated ink tanks. These tanks contain enough ink to print thousands of pages, equivalent for example to 88 traditional cartridges, but without the need to dump 88 plastic containers and their packaging into the environment. EcoTank printers can print up to a massive 14,000 pages in black and white and 11,200 pages in color. Guido Borso, Founder & CEO of Accessory Line, said: "Our partnership with Epson is twenty years old. Beginning with large format printers, for many of which Accessory Line is the leading distributor in Europe, the partnership has been extended over the years to encompass consumer printers and video projectors, with an annual turnover of more than 10 million euros. This new agreement builds on our decades-long partnership by extending our "reach” to our many Apple reseller customers across Europe. "Accessory Line, whose mission is to distribute peripherals and accessories to the Apple channel in EMEIA (Europe Middle East Africa and India), is immensely pleased to add this important agreement to those already signed with Bose, DJI and Marshall". ACCESSORY Line Srl, is a privately-held European company founded in 1989, and head-quartered in Treviso - Venice, Italy. Accessory Line is the leader in the distribution and production of accessories for the Apple market in Europe, the Middle East, India and Africa. Accessory Line brings Italian flair from the Veneto region – part of the 'New Industrial Triangle’, Europe’s leading industrial district by GDP – and a unique focus on accessories, as the name says, backed by 30 years’ experience supplying the Apple channel. Epson is a global technology leader dedicated to connecting people, things and information with its original efficient, compact and precision technologies. With a line-up that ranges from inkjet printers and digital printing systems to 3LCD projectors, watches and industrial robots, the company is focused on driving innovations and exceeding customer expectations in inkjet, visual communications, wearables and robotics. Led by the Japan-based Seiko Epson Corporation, the Epson Group comprises more than 81,000 employees in 85 companies around the world, and is proud of its contributions to the communities in which it operates and its ongoing efforts to reduce environmental impacts. Epson Italia, the national sales company, recorded a turnover of over 227 million Euros for fiscal year 2017, and employs around 200 people. Venice, Italy, Sept 1st, 2018 - Accessory Line srl, the leader in the distribution of accessories for the Apple market in Europe, is pleased to announce its appointment as the distributor for Zound Industries consumer audio products to the Apple® Premium Reseller channel in Europe. 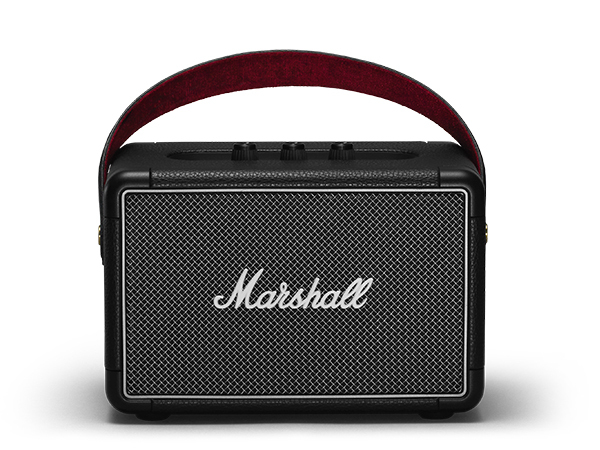 Beginning in July 2018, Apple Premium Resellers in Europe will be able to apply to Accessory Line to sell the full range of iconic Marshall-branded consumer audio products, including the multi-room and Bluetooth® speakers, and Bluetooth and wired headphones and earphones, as well as the Urbanears range of speakers and headphones. "The opportunity to continue to work with Zound Industries as it re-engineers its distribution strategy is a perfect match for Accessory Line’s razor-like focus on the European Apple reseller channel”, said Guido Borso, Founder and CEO of Accessory Line. “The Zound product range is an ideal fit for Accessory Line and our customers – both the iconic Marshall brand and the home-grown Urbanears brand have natural synergy with Apple users." Accessory Line is fully committed to maintaining the high standards customers have come to expect from Zound Industries, whilst offering additional focus and choice for resellers. APRs already certified by Zound can immediately apply to source products from Accessory Line. Other APRs can apply for certification through Accessory Line. ACCESSORY LINE srl, is a privately-held European company founded in 1989, and head-quartered in Treviso, Venice, Italy. Accessory Line is the leader in the distribution and production of accessories for the Apple market in Europe, the Middle East, India and Africa. Accessory Line brings Italian flair from the Veneto region – Europe’s leading industrial region by GDP – and a unique focus on accessories, backed by 30 years’ experience supplying the Apple channel. ZOUND INDUSTRIES INTERNATIONAL AB designs and develops speakers and headphones under the brand names Marshall and Urbanears. With a strong focus on innovative technology and user-centered design, Zound has gone from strength to strength since first hitting the market in 2008, launching a wide range of iconic, award-winning products. Zound currently has offices in Stockholm, New York, Paris, Shenzhen and Hong Kong. 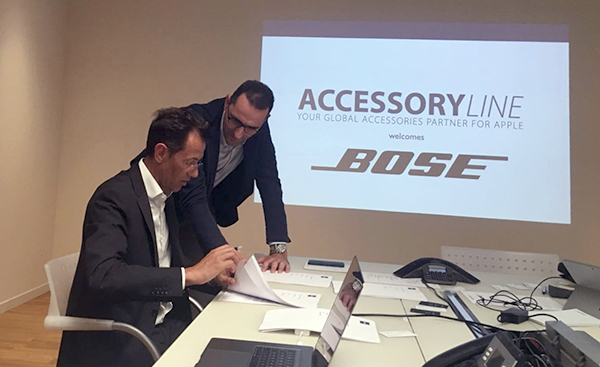 Venice, Italy, 1st July, 2018 - Accessory Line srl, the leader in the distribution of accessories for the Apple market in Europe, is pleased to announce its appointment as the sole distributor for Bose consumer audio products to the Apple reseller channel in Europe. Beginning in July 2018, Apple® Premium Resellers and Apple Authorised Resellers in Austria, Belgium, Denmark, Finland, France, Germany, Ireland, Italy, Luxembourg, Netherlands, Norway, Poland, Sweden, Switzerland and the UK will be able to apply to Accessory Line to sell the full range of Bose consumer audio products, including the iconic Bose QuietComfort® 35 Acoustic Noise Cancelling® headphones and Bose Soundlink® Revolve Bluetooth® speakers. Accessory Line is fully committed to maintaining the high standards customers have come to expect from Bose, whilst offering additional flexibility for resellers. APRs and AARs already certified by Bose can immediately apply to source Bose products from Accessory Line. Other APRs and AARs can apply for certification through Accessory Line. ACCESSORY LINE srl, is a privately-held European company founded in 1989, and head-quartered in Treviso, Venice, Italy. Accessory Line is the leader in the distribution and production of accessories for the Apple market in Europe, the Middle East, India and Africa. Accessory Line brings Italian flair from Veneto – part of Europe’s number one region by industrial GDP – with a unique focus on accessories, backed by 30 years’ experience supplying the Apple channel. Bose Corporation is privately held, and thanks to Dr. Bose, MIT is the majority shareholder in the company. Bose’s spirit of invention, passion for excellence, and commitment to extraordinary experiences can be found around the world – everywhere Bose does business. 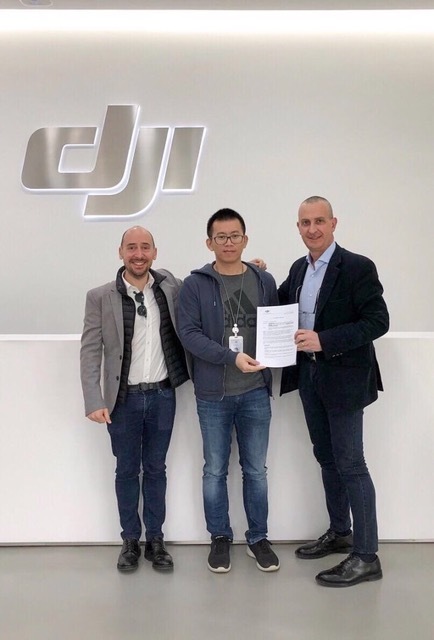 Treviso, February 2018 - ACCESSORY LINE srl, a European company head-quartered in Quinto di Treviso, Italy, and leader in the distribution and production of accessories for the Apple world, signed an exclusive distribution agreement with DJI for all the sales on Amazon in Europe. DJI, with their 12 thousands employees and a turnover of over 3 billion dollars, is the worldwide leader in the drone market with a market share of more than 50%. In addition, signing this important contract is a further example of the synergy between the different players responsible for the success of the Italian excellences globally. During the most delicate phases of the negotiation, in fact, Accessory Line also had the chance to make use of the qualified support, local presence, and excellent relationships with financial operators of SACE – that together with SIMEST is the export and internationalisation hub of the CDP Group – and that supports the internationalisation of Italian companies, flanking them for the whole development round abroad. In the photo: Claudio Silvestri (Chief Operating Officer) and Rolando Perin (Director of the Office in Hong Kong) on the day the agreement was signed. ACCESSORY LINE presents its products to the Italian Consul of Hong Kong. Hong Kong, 8th February 2018 - ACCESSORY LINE Srl, a European company head-quartered in Quinto di Treviso, Italy, and leader in the distribution and production of accessories for the Apple world, is pleased to announce a successful meeting at the Italian Consulate in Hong Kong on 8th February. Guido Borso, Founder & CEO of Accessory Line Srl, met with the Italian Consul, Antonello Del Riu, and presented the aiino product range, in the presence of Dr Luca Querin, Commercial Attaché, and Rolando Perin, manager of the Hong Kong and Shenzhen office for Accessory Line Srl. Quinto di Treviso, 11th September 2017 - ACCESSORY LINE srl, located in Quinto di Treviso and European leader in accessories distribution and production for Apple world and for Mobile Telephony, renews its commitment to sport and health. 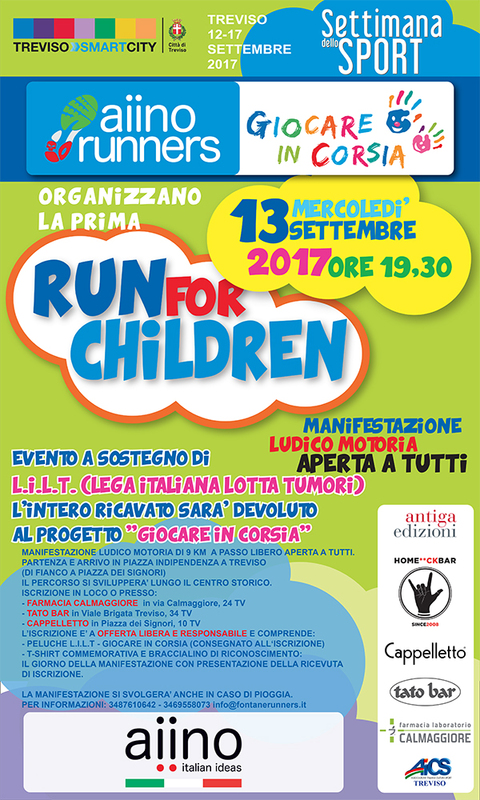 During Sport Week Aiino will be sponsoring “Run For Children”, a recreational physical sporting event supporting the project “Giocare in Corsia” [“Playing in the Ward” – editor’s note] (www.giocareincorsia.com), which aims to make hospital environment less unfamiliar and difficult – this experience started back in 1994 at Treviso Ca’ Foncello Hospital and it now boasts 146 volunteers. AIINORUNNERS are a “viral” community growing larger and larger everyday (Facebook Aiino Runners), born with the goal of spending time together while sharing the passion for running, and with an unusual women’s participation. “And not just running, considering that a group of triathletes (the #aiironman? – editor’s note) is growing among this community”, says Guido Borso, ACCESSORY Line’s president. 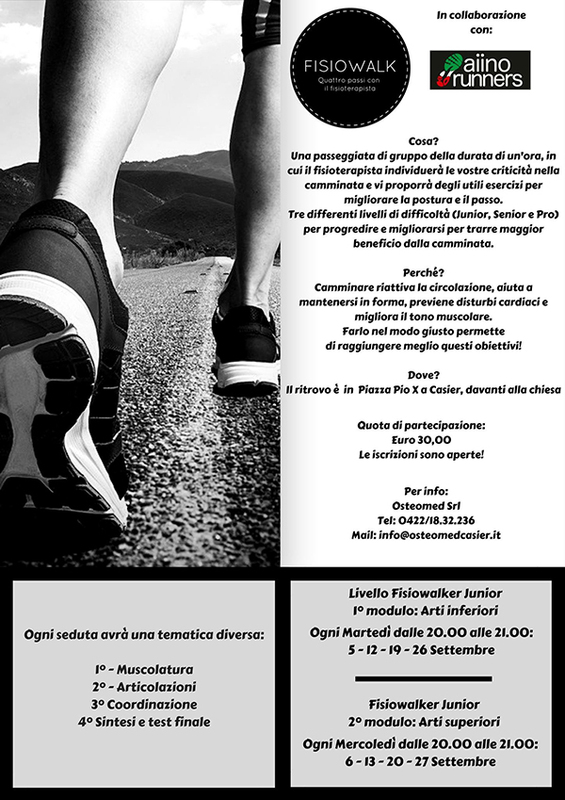 In the meantime, the success of “Fisiowalks” in the Natural Park of River Sile continues – every Tuesday and Wednesday night at 8:00 PM, in collaboration with Osteomed (Osteomed). “After the success of our first attendance last year, we decided to come back with a bigger stand equipped with a lounge for APRs (Apple Premium Resellers) and partners of the Apple channel in general, where of course we will offer our Prosecco” says Guido Borso, Accesory Line’s President. For the first time both Country Managers for EU5 (France, Germany, United Kingdom, Spain, Italy) and our new manager for India will be attending. “During the fair we will also launch our new multilingual website in order to confirm and strengthen our inclination to international markets”; international sales have reached the 50% in the last fiscal year. Quinto di Treviso, August 2017 - ACCESSORY Line Srl, located in Quinto di Treviso and European leader in accessories distribution and production for Apple world, announced the financial results for the fiscal year ended on 31st March 2017. Earnings have gone past €40 millions, with a growth of more than 10% and an EBITDA of over €1 million. “Our new project, started in 2016 for the development of the sale of accessories in the channel of the more than 900 Apple Premium Resellers (APRs) in the area of EMEIA (Europe, Middle East, India, and Africa), has been crucial and it’s still our main focus. Our 4 new country managers for the EU5 zone (France, Germany, Spain, Italy, UK) are now flanked by one in India, a very high-potential area considering the new agreements between Apple and the Indian government providing for the production of iPhone directly in Bangalore” reports the President Guido Borso. This new structure cooperates with the English branch ACCESSORY Line UK which is now composed by 3 people working full time. In addition to this we also have the excellent progress of AIINO, trademark of accessories for Mobile Telephony, which “represents 25% of our turnover” and has reached the 5% of market share. Separate egg yolks from egg whites. Combine egg yolks and icing sugar in a bowl and whisk thoroughly. Add mascarpone cheese and keep whisking. Lastly, add egg whites previously beaten to firm peaks. Whisk until combined. Arrange a layer of Savoiardi in the bottom of a rectangular plate with high sides, then brush them with coffee. Spoon the mascarpone cream over the Savoiardi. Repeat until all ingredients are used, ending with a last layer of mascarpone cream. 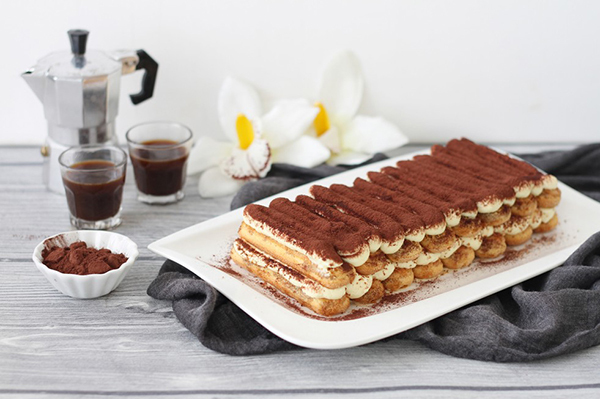 Dust the tiramisù with unsweetened cocoa.